The least obscure team on this list.The Providence Grays were a powerhouse in the early National League, winning two pennants. Old Hoss Radbourn won a record 59 games in 1884, and the Grays defeated the New York Metropolitans of the American Association in the first-ever league post-season tournament, or “World’s Championship.” The Grays also have some claim to being the first MLB team with an African-American player, William Edward White, who played one game in 1879. John Montgomery Ward also pitched the second perfect game in history for the Grays in 1880. But a year after winning the “World’s Series,” the Grays folded due to financial problems. The southernmost team in MLB history until the Houston Colt .45’s of 1962, the Virginians were a late season call-up in 1884. The American Association expanded to 12 teams that season and Richmond applied to join but was not accepted. When another expansion team, the Washington Statesmen, folded in early August, Richmond’s Eastern League team was asked to take their place. The Virginians accepted (to the dismay of other Eastern League teams). The Virginians campaign was not very successful. After the season, the AA contracted back to eight teams and Richmond was not allowed to remain in the league. 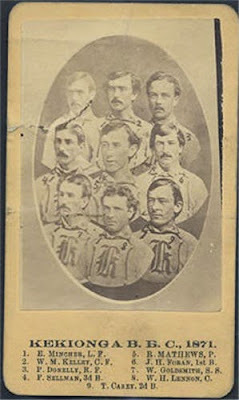 The Virginians went back to the Eastern League and folded after the 1885 season. Troy is the former home of not one, but two former MLB franchises. The Haymakers were descendants of the very first organized baseball team in the area and were considered “competitive” in the very first “pennant race” (a loosely-organized competition of various teams) in 1869, just four years after the American Civil War ended. The Haymakers finished 6th in the first-ever league, the 1871 American Association, and dropped out partway through 1872. 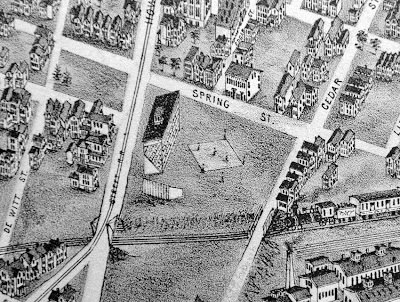 In 1879 MLB returned to Troy when a club not associated with the first one was accepted into the National League. This franchise was not as successful as the NA version, never finishing over .500 or higher than 5th place. Worcester happened to be their biggest rival, a story I'll get into later in the list. The Forest Citys were one of the first teams to actually pay players, albeit illegally, getting Albert Spalding (co-founder of Spalding Sporting Goods), among others to wear their uniform while still claiming amateur status. When the first professional league, the National Association, formed in 1871, Rockford was an easy choice for inclusion, but Spalding and other top players left the club before the season began. Future Hall of Famer Cap Anson was on the team as a 19-year-old and played well, but the Forest Citys couldn’t compete otherwise and had money troubles throughout the season, mostly involving travel costs. When Anson decided to play for Philadelphia in 1872, Rockford’s fate as a major league city was sealed. By 1875, the first pro league, the National Association, was on its last legs. The Elm Citys are notable for winning just seven games and still finishing 8th in a 13 team league. That’s what the NA was by 1875 (pennant winning Boston went 71-8, the best season in history, and only three teams finished over .500). Two of New Haven’s starting outfielders batted under .160 and their “best” starting pitcher went 4-29. Second baseman Fred Goldsmith would eventually become a pitcher and win 20 games four times for Chicago. Of the three Connecticut-based National Association Teams, only Hartford would ever get an NL team and they would be gone after 1877. The other team is still to come on this list. In the National Association, a $10 entrance fee got you into the league and a chance to compete for the pennant, and many outmanned teams tried their luck at it. The Elizabeth amateur baseball team was one of them. The Resolutes hired a few players, turned pro, paid their entrance fee and began competing for the 1873 league title before realizing it was a bad idea. The Resolutes second and final win was against the pennant-winning Boston Red Stockings in the first game of a double-header on July 4th. Boston then won the second game 32-3. Elizabeth quit the Association about one month- and seven losses- later. Although New Jersey has had minor league baseball almost continuously since, Elizabeth and the Newark Peppers of the Federal League in 1915 are the only MLB teams in state history. Middletown was the first ballclub to realize how silly the National Association was- or maybe they were just severely deluded. 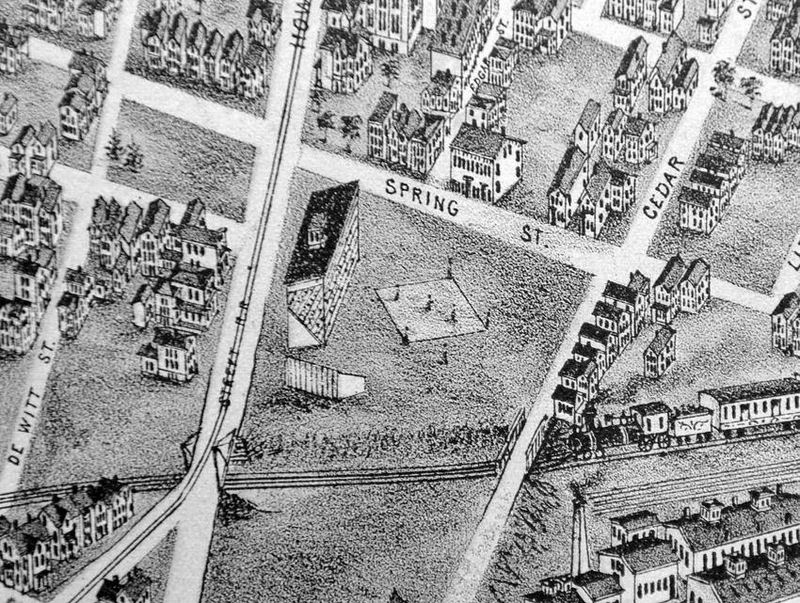 By paying a few players in order to become “professional” and giving the Association their $10, the Mansfields (named after a Union Civil War General) were allowed to compete- by rule- against Boston, Philadelphia, New York and the other “pro towns.” The Mansfields had been a decent amateur town-ball team, but competing against the Albert Spaldings and Boston Red Stockings of the world was a different story entirely. Seen as interlopers and not taken seriously, the team was not treated fairly wherever they went, and travel costs skyrocketed as attendance worsened (a direct cause and effect). The Mansfields folded up in early August after losing ten straight, but hold the distinction as Connecticut’s first MLB franchise. The biggest NL rival of the Troy Trojans (see entry #10) and the other team involved in the MLB game with just six fans watching in the second-to-last game of 1882, a record that stood for more than 130 years. The reason for the record-low attendance was because the teams already knew they would not be in the league the next year. A new league, the American Association, had begun in 1882 and specifically gone after big cities, a move that worked and forced the NL to respond. Troy and Worcester were dropped and for 1883 the NL added teams in Philadelphia and New York, both teams that survive today (as the Phillies and the San Francisco Giants). Worcester was already in trouble because it was so close to Boston, the class of the league at the time, and never came close to competing for the NL title. In its first season Worcester pitcher Lee Richmond threw the first-ever perfect game in MLB history, but that was the franchise’s peak. Like Richmond (see #11), the Quicksteps were a late-season team call-up from the Eastern League in 1884, but instead of the American Association, Wilmington joined the Union Association, a one-year league plagued with troubles from the beginning. (Many historians question as to whether it should be considered a major league at all.) The Quicksteps had won the Eastern League easily- as well as their first UA game- but many of their players then jumped to other UA teams and the Quicksteps were in quicksand. Their .111 winning percentage is the lowest for any Major League franchise ever (the 1899 Cleveland Spiders, widely considered the worst team in history, had a .130 percentage, but at least they played an entire season). Wilmington was a “filler” franchise and fans weren’t interested in the slightest. 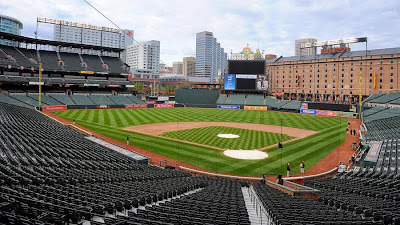 They remain the only major league franchise in any sport in Delaware history, even if it was only for a month. If you want to win a trivia question any day of the week, ask who won the first-ever MLB game. The answer is the National Association’s Fort Wayne Kekiongas, who beat the Forest Cities of Cleveland on May 4, 1871. That Fort Wayne played, much less won the game, is remarkable in itself. As an amateur team the club had been butchered by the first ever pro team, the Cincinnati Red Stockings, by scores of 86-8, 41-7, and 70-1. But they paid their ten bucks and the Association had to accept them. The first scheduled game was to be the day before between Cincinnati and Washington, who had many former Red Stocking players, but that game was rained out, leaving Fort Wayne and Cleveland the distinction of playing the first-ever league game. That game was probably Fort Wayne’s highlight as a franchise, as they only lasted 18 more games. The Keokuk Westerns paid their $20 (the price got raised) and got to join the NA for the league’s final season. Part of the reason several NA clubs reorganized as the National League for 1876 was to prevent tiny towns like Keokuk- population about 15,000 at the time- from starting the season, failing, running out of money, and quitting. Which is exactly what the Westerns did, folding after their June 14th game against the New York Mutuals. The location was about the best thing it had going. It’s close to a toss-up as to whether Keokuk or Altoona should be the most obscure team in MLB history, but Altoona has the better story. The Mountain Citys were a last-minute addition to the UA, which only had seven teams less than two months before Opening Day and was desperate for an 8th- Detroit, Pittsburgh and Hartford had turned them down. 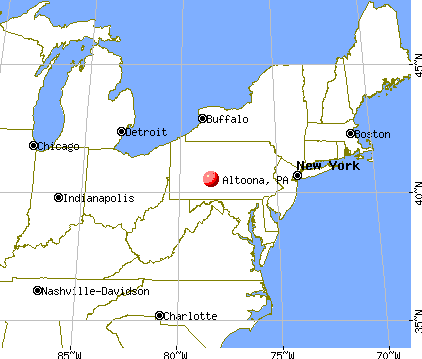 Altoona was a baseball-mad town, so it was hoped that plus its prime railroad location in the middle of the other UA teams would help the small town- just 20,000 at the time- play with the big boys. But the franchise started by getting mauled by eventual pennant-winner St. Louis and fans soon realized it was a hopeless cause. A great Yogi Berra quote is “If people don't want to come to the ballpark how are you going to stop them?” and that was Altoona’s undoing. The most obscure MLB team in history played their last-ever game on the final day of May 1884, 46 days after the franchise began. By the end of the season, their nickname was the "Altoona Unfortunates." Big thanks to the information-gatherers at BaseballChronicles.com, Baseball-Reference.com and SABR.org for doing the legwork.